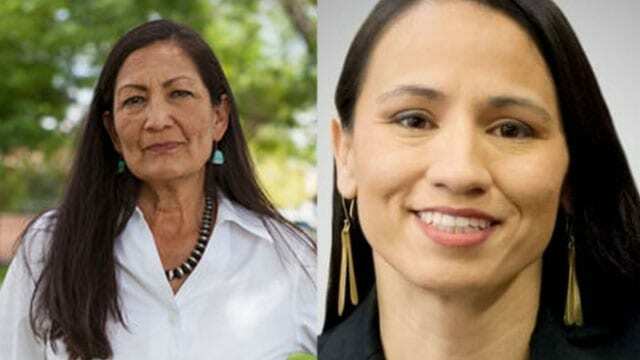 Deb Haaland and Sharice Davids are the first Native American women elected to Congress. The growing issue of missing and murdered Indigenous women is a top priority for Deb Haaland, a Native American woman elected to the U.S. congress Tuesday. Haaland, of New Mexico, is one of the first two Native Americans to sit in the House of Representatives after the midterm vote. She was joined by Sharice Davids, an openly LGBT lawyer from Kansas and former mixed-martial-arts fighter. “Growing up in my mother’s Pueblo household…I never imagined a world where I would be represented by someone who looks like me,” Haaland told voters after her win. Both are Democrats and helped their party – and a record number of female candidates – take control of the House. The U.S. Congress writes laws and overseas the executive branch of government including the office of the president. Haaland is an enrolled member of the Pueblo of Laguna and Davids is a member of the Wisconsin-based Ho-Chunk Nation. In May, Davids told Bustle, “Native women are left out of the conversation. And when you think about just size of a group, we make up a small portion of the population. “Somebody has to be the first,” she said. “Native women, I mean we’ve been on the frontlines for a long, long time. Alexandria Ocasio-Cortez, a 29-year-old lesbian Latina in New York, also made history as the youngest woman ever elected to Congress. Her family hails from Puerto Rico. “Our district is 70 per cent people of colour, and we have never had a person of colour represent us in American history,” she told NowThis. And two Muslim women – a Palestinian-American and Somali-American – became the first elected to Congress representing Michigan and Minnesota. A third Native American, New Mexico Republican Yvette Herrell, eked out a narrow victory as a candidate of colour. 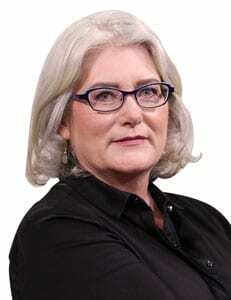 Her online biography described her as a member of the Cherokee Nation, a vocal supporter of President Donald Trump and the pro-life movement. There has only been one previous Native American in Congress: Ben Nighthorse Campbell represented Colorado for three terms in the Senate. Seventy years ago, Haaland noted Native Americans in New Mexico couldn’t vote. The Pew Research Centre said the present U.S. Congress is the most racially and ethnically diverse in history. Nineteen per cent of its members are racial minorities, but only two Native Americans have seats.